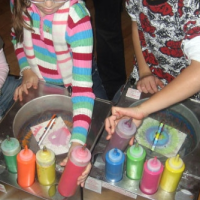 Relieve the Stress - Hire a Kid's Party Planner in NY! Organizing a kids party can be daunting, so make the process easier and more enjoyable by hiring one of these professional kids party planners in NY. 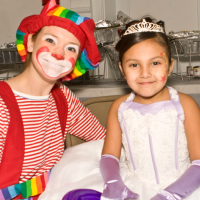 We’ve compiled a list of the best party planning services in New York that specialize in creating memorable and creative children’s parties. This useful resource also lists party planners in NY by city and county. Relieve yourself of the hassle by allowing the experts to do all of the work! Endless Fun & Entertainment in NY! A full-service kid's party planner in NY, Always Entertaining promises to take the party-planning hassle out of your hands. 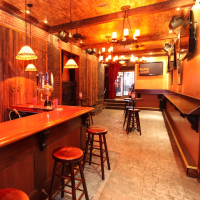 They will come to a venue of your choice in the NY and NJ area, whether it's your back yard or a party venue. The children are guaranteed to have a blast at one of Always Entertaining's fun-filled parties! The entertainment offered by Always Entertaining includes story-telling, magicians, dancing, singing, games, face painting, circus acts, and more. Concept Development, Booking & More in NY! When it comes to event planning in NY, Celebration Entertainment does it all. Your kid's birthday party will be an unforgettable event with all that Celebration Entertainment has to offer. Their services include lighting, venue design, music, concept development, production, venue booking, entertainment, and much more. This one-stop party planning service in NY will blow you guests away with its awesome kid's party services. Not only will the children have a blast, but the parents will be stress-free, with the planning work out of their hands. Catering, Rentals & Entertainment in NY! Have a party for your kid's birthday that you can enjoy too by hiring the Party Elf. They will handle everything, including coming up with ideas and themes for the event, shopping for supplies, party set-up and clean-up, and serving. Their professional staff will be there throughout the entire party to take care of all of the dirty work so you don't have to! Along with NY party planning services, the Party Elf also offers entertainment, catering, baked goods, floral design, equipment rental, and anything else you need to make your party a memorable and fun event. 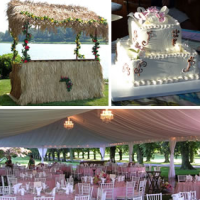 A Kid-Friendly Event Planner in NY! Throw your kid the party of the year with Eat, Drink & Be Merry! This NY party planner offers awesome kid-friendly venues, custom menus, and other kiddie customizations. They will assist you in all the party planning tasks, such as choosing a space to rent out, selecting the food, decorations, and more. With many entertainment options, the kids will be having a blast from start to finish. The party rooms even have mats and kid's furniture, so they can really have a good time. Eat, Drink & Be Merry will also help you find the right DJ's, games and services for you. Leave the Work Up to Them in NY! Not only does Party Makers offer the top entertainment and party services in the city, but they also make it easy for the parents to just sit back and enjoy the party without stress. The children will have a great time at this customized birthday party. With over 40 party themes to choose from, your kid is sure to get just the type of party that he/she wants. You even have the option of choosing among numerous party venues, including zoos, museums, ball parks, and party places. 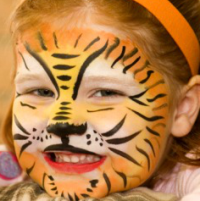 Book your kid's party with Party Makers and give your kid an unforgettable party! 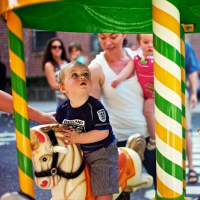 Fun for Both Kids & Adults in NY! Look no further for a NY party planner - Party Smarty Entertainment has it all! You can find everything your kid could ever want in a birthday party here! Not only do they have every type of entertainment your kid could ever ask for, but they also have a variety of catering services, servers, and rentals, so your job can be made easy! Their entertainment services include photo favors, spin art, flip-flop making, karaoke, characters, pony rides, stilt walkers, comedy shows, inflatables, carnival rides, water slides, and more! A One-Stop Party Planning Shop in NY! Your kid and guests will have a great time at your kid's birthday party if you hire NY Party Works as your NY party planner! 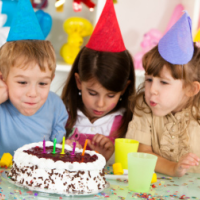 Planning a kid's party can be stressful and time-consuming, so why not call up the experts? NY Party Works will make sure your kid's party is one that no one will forget! With a variety of party entertainment and services, including food machines, virtual reality, arcade games, inflatables, catering, decor, and more, NY Party Works has it all.